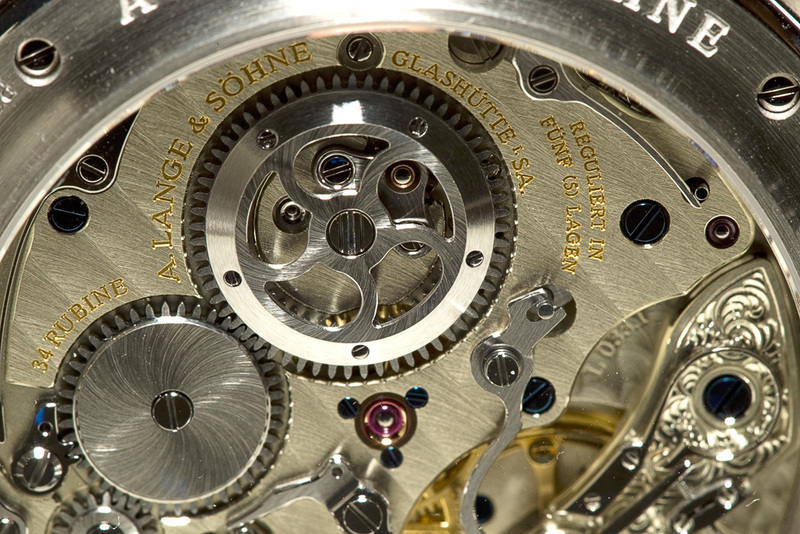 The Richard Lange Referenzuhr...reference time. 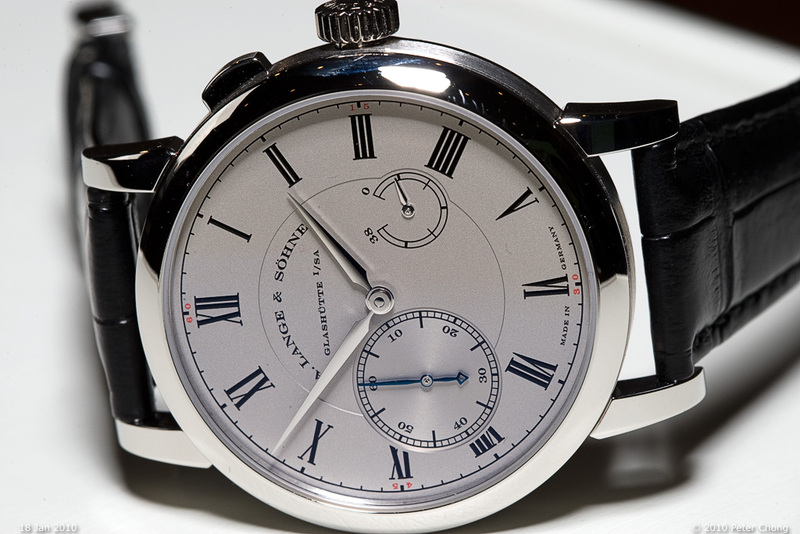 A simple complication to the Richard Lange series of chronometers. 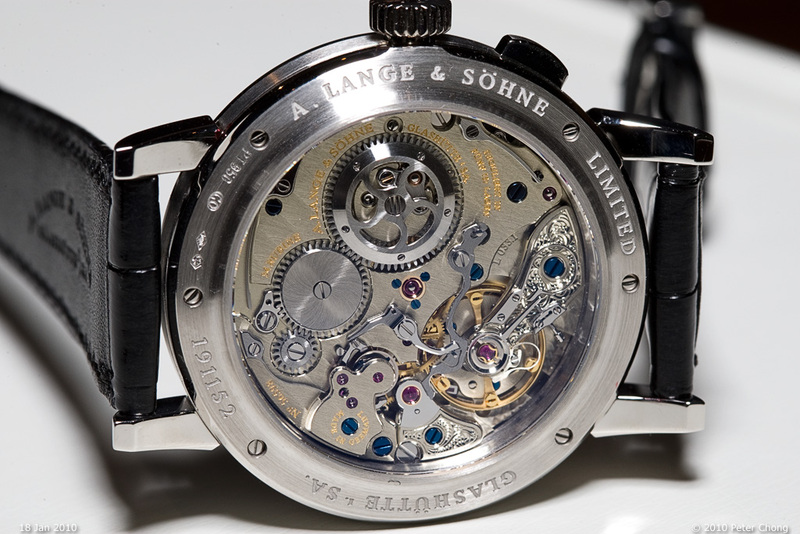 Two significant changes to the regular Richard Lange: move from central seconds hand to a large subsidiary seconds hand. And the provision of the ability to reset this seconds hand at will, without having to stop the movement. This feature is useful for timesetting...making reference to the name Referenzuhr (reference watch)...also indicating to the historically important clock made by Richard Lange which was used to signal time throughout the land in the early days. The clock was connected electrically to the time signal on the top of the hour broadcasted by radio. The zero reset mechanism - a complicated system allows the hand to be reset...similar to the flyback mechanism in the Datograph. 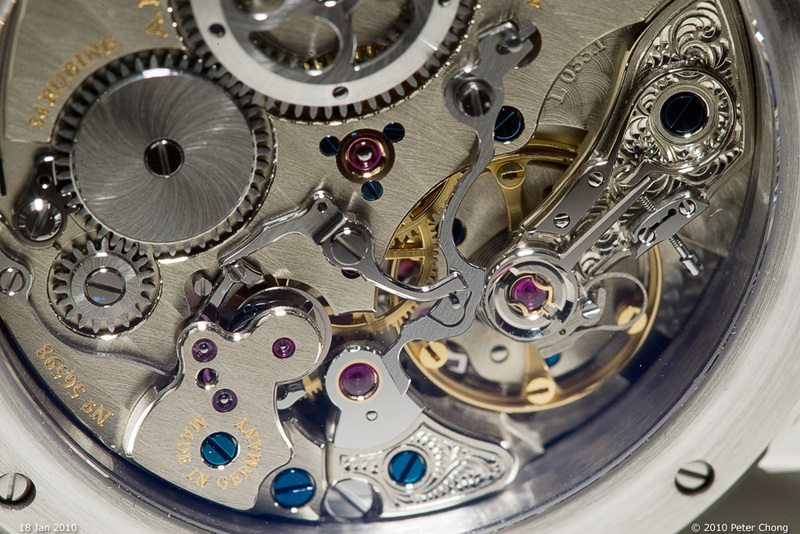 This type of reset mechanism were common in the early days in pocket watches, and were known as Doctor's watches, as the doctor could reset the second hands when taking a patient's pulse at will, rather to have to wait for it to come to a reference point. Again, typical very high standard of finish throughout. Beautiful anglages, and here a detail of the barrel wheel, showing skeleton finish.